InterPartners and Intercasino are now merged with Plain Partners that includes Vera John casino. InterPartners is the casino and poker affiliate program for InterCasino and InterPoker. The program also has Parbet and VIP Casino in their brands portfolio. InterPartners is the rebranded affiliate program that used to be known as PartnerLogic. The gaming brands all use Amaya Gaming software which is a publicly traded company on Nasdaq as AYA. The brands used to be on CryptoLogic software but they underwent a migration to the new platforms in May 2013. The flagship brand is InterCasino which first launched in 1996 and has been well known amongst casino players for many years. Affiliates can get paid with 3 popular ewallets: Neteller, Moneybookers and Click2Pay. The affiliate program offers revenue share for all products with 4% sub affiliate available upon request and 25% starting revenue share rate for all brands except VIP Casino which is 30%. New affiliates get 50% revenue share commission for the first 3 months. The program boldly displays their Top Earners which shows yearly statistics for total commissions paid out, best month and best performing affiliate in a single month listed at $125,912.99 in 2012. Update: The program has closed the Parbet brand. InterPartners offers a wide selection of banners, landing pages, html mailers and text links. The backend offers all the statistics you need to get feedback on which campaigns are performing the best. Your assigned affiliate manager can help you with special requests and affiliate emails are always answered quickly. All the brands are stable to promote and the flagship brand is still InterCasino having been online since 1996. Responses to affiliate emails can be slow at times but they do have a team of experienced affiliate managers. Affiliates can also promote InterPoker and VIP Casino all using Amaya gaming - Chartwell software. 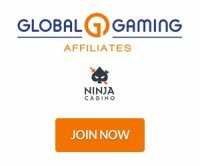 Affiliates start earning 25% revenue share and the rates climb as high as 35% for InterPoker, 45% for InterCasino and 50% for VIP Casino. The brands accept worldwide traffic including UK, Europe and Asia. Excluded territories and countries are: American Samoa, Netherlands Antilles, Belgium, Brunei Darussalam, Bulgaria, China, Cyprus, France, French Guiana, French Polynesia, French Southern Territories, Greece, Guadeloupe, Guam, Vatican City, Hong Kong, Indonesia, Israel, Italy, Ivory Coast, Korea, Macao, Malaysia, Mexico, Spain, Saint Pierre & Miquelon, Turks and Caicos Islands and the United States.